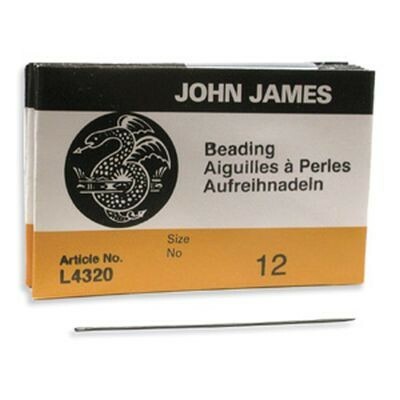 These stiff, yet flexible, English beading needles are referred to by beaders as “longs.” John James English needles are high quality and one of our most popular beading needle options. Standard beading needles are very fine and long. The eye of the needle is the same width as the rest of the needle. Made in England.